04/04/2019: We’ve been here loads and it’s always great food and nice staff. 17/04/2019: Warm welcome on arrival, ordered drinks to sip while we perused the menu, asked for a mixed shared starter, but the young lady seemed puzzled by this, so we just ordered 2 starters of chicken satay + thai fishcakes and shared them anyway. Chicken massaman curry & stir fried egg + veg noodles were also shared between us [we've over ordered before now and learnt to hold back! ], this left us some space for a dessert, I had a banana fritter with honey & ice cream, hubby chose mango ice cream which went down very easily. 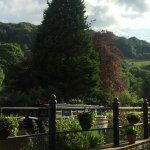 The meal was all lovely, the staff were both polite & efficient, the gentleman front of house was helpful to diners with dish/selections e.t.c. We thought the bill was quite reasonable. 14/04/2019: Wonderful tasty and well prepared dishes. 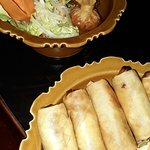 For starters we shared soft shell crab and duck spring rolls - excellent. For mains my husband chose Prawn Thai Green Curry and I had Chicken Thai Green Curry accompanied with jasmine rice and noodles:- we both agreed that they were the best we had ever eaten. Can't wait for our next visit to Brid and our return visit to Supattra. Thankyou to all the staff for a marvellous meal. 14/04/2019: Me and my husband went for tea here we had a lovely meal the staff were very nice and friendly. Lovely atmosphere and surroundings. 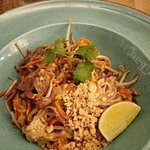 I recommend the pad Thai no complaints with us excellent everything tasted fresh. We got complimentary baileys which finished the meal off just nice. 14/04/2019: Had a take away from Kam Thai while on holiday in Whitby & would highly recommend as great veggie food! Take away was ready in 10 mins (it was a Sunday night tho’) & food was hot & really tasty. Thank you! 18/04/2019: This restaurant seems very popular as it was crowded on a Tuesday evening. Quite a good atmosphere because of that. The starters were good but the main courses were average. Quite expensive too, so we would not go back. 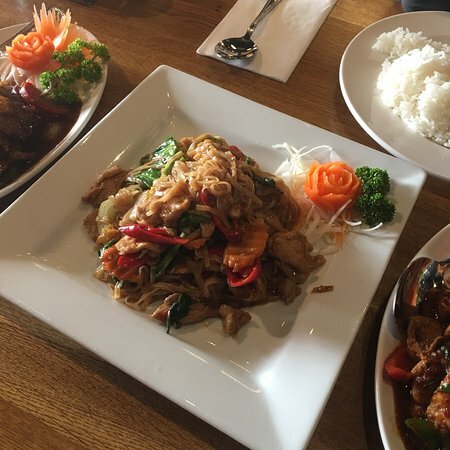 13/04/2019: My self and my husband came to York for the wkd , we love Thai food and as this place seemed to have a good rating we decided to go . The food was very poor quality the place wasn’t very clean . We will not be returning. The menu was very limited for Thai cuisine. They seem to have a captive audience. We have eaten Thai food in many places this was the worst . 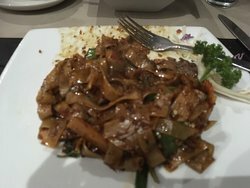 13/04/2019: We ha e many time in thai house alway good food and excellent service only problem in princess Avenue is lack of off parking . 13/04/2019: I went with friends to Thai House tonight for an early evening meal. It's been quite a few years since I've been but the quality of the food and the excellent service has no changed in that time. We were greeted by friendly staff and shown to our table where our friends were already seated. We were given plenty of time to peruse the extensive menu and I chose the Thai fish cakes, as did my friend, It was her first ever time trying out Thai food, she too chose the fish cakes, another 2 friends had the Thai chicken satay The starters were served quickly and there was plenty of food on the plate! 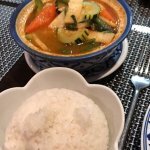 I chose the Hot red curry, it was delicious, all of us enjoyed the main meals we'd ordered. The service was excellent. I will try not to leave it so long before I visit again. 19/04/2019: We’ve been here several times and the food has always been great. On our most recent visit the food was still excellent but the service was poor, almost as if they were rushing people through so they could close (we sat down to eat at around 8:30). 19/04/2019: Me and my friend visited around 9pm last night, it was fairly busy but were seated straight away. It took a while to have our order taken, where we ordered drinks, starters and mains all at the same time. The starters came before the drinks. After our starters it had then quietened down, however me and my friend found ourselves waiting 30-45 minutes for the mains to come out, we then had to tell the staff because they had clearly forgotten about us as people who had just come in were getting food way sooner. Then had to wait another 10 minutes or so. They were very apologetic and offered a free drink but shouldn’t be happening when the place had quietened down by then. The food itself was just average, just a lot of rice, a lot of veg and a few prawns, I think the dishes are very overpriced. 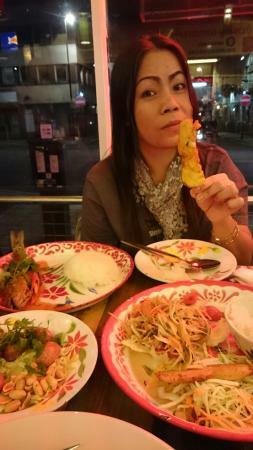 I’ve had much cheaper and better Thai food in Leeds. When calling in somewhere for street food, you shouldn’t expect to wait as long as what we did last night. The air con was also blowing stupidly cold and was probably warmer outside than it was in there. 13/04/2019: YThai is in the middle of Stokesley. They have a lovely restaurant and are always welcoming. The food is delicious!! 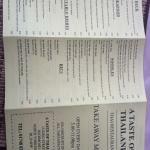 We love the Massaman curry and the set menus. Fabulous! Go try it and you will love it!! 07/04/2019: A welcome return to this old favourite, this time with the now grown up family in tow. 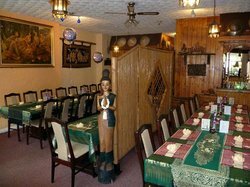 Pleasant, welcoming restaurant, tastefully decorated and comfortable. Staff always friendly, efficient and helpful. Great tasting dishes in good sized portions and at a reasonable price. 08/03/2019: La comida era muy buena y llegó literalmente tan pronto como nos sentamos, pero tan pronto como pagamos la cuenta, el camarero se acercó a nosotros y nos dijo muy rudamente "tienes que irte ahora". Estábamos tan sorprendidos que pensamos que habíamos hecho algo mal. Fue una pena, ya que la comida era muy buena, pero esperábamos sentarnos y charlar un rato, pero nos apuraron después de 40 minutos. 07/03/2019: Mays es muy pequeño y lo hizo bien para acomodar a nuestro grupo de 12. Pequeña cocina en un extremo si la habitación, mesas en el otro. He tenido un resfriado durante algún tiempo, así que fui por la cosa más caliente en el menú que pude encontrar. May utiliza la clasificación de chile para sus curries que los anuncios inal encuentran útil. El curry estaba razonablemente caliente, pero he tenido "peor", pero no me decepcionó. No se vende alcohol, pero puedes traer el tuyo. Aconsejaría reservar con anticipación incluso para parejas, ya que las mesas son escasas, ya que parece ser muy popular entre los estudiantes, especialmente en el tiempo de curso. 18/11/2018: Visited Friday tea time, not been before but seen the rave reviews, lovely decor, the young lady that served us was an absolute delight and the food was amazing, we will definitely return. 07/11/2018: My first visit with my Son who runs the International Asha`s Indian Restaurants. We loved it - Good food , friendly service - hard working Lady Chefs and great value. We will return ! 18/04/2019: We go to Thailand every year for a month and spend most of our time with a couple from Norfolk. They were in Leeds for a wedding so we suggested we meet up at this restaurant which is a firm favourite of ours. Couldn't fault anything. Food, ambiance, service, etc., was absolutely first class. Thank you Manny and staff for a wonderful evening. 16/04/2019: I went here with a group of 15 people and although the restaurant was busy we were well cared for. Our meals arrived together, well presented and tasted delicious. The staff were very proffesional and the experience was perfect. Thank you. 17/03/2019: We drove 90 minutes each way to visit Moon on the Water for a music night. Stopped off here for a curry. What a find. very tasty food with excellent service. Really good value too. We both said we’d do the trip again just to visit this Thai restaurant. It was that good. Small from the outside. Don’t be put off. Just go in. You’ll be glad you did. 03/02/2019: A small Thai restaurant with a nice atmosphere and really good service. We had a great meal, served by a lovely lady who was so friendly and helpful. 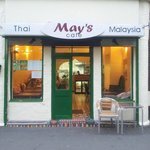 Reasonable prices and a good selection of authentic Thai food - we will definitely be making a return visit. 31/03/2019: Large party of approx 20 people on a Saturday night. Advised we should eat from the set menu which didn’t please everyone. Seemed expensive for what we actually received. The men’s toilets were out of order so they were having to queue at the disabled toilets. Not a great experience and won’t be returning. 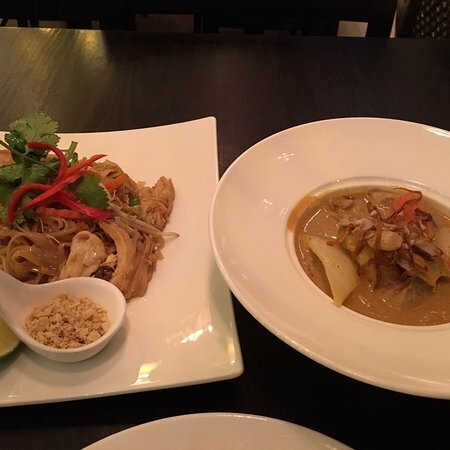 19/04/2019: Thai food is new to me, but the wife has been here before and recommended we get the set meal as the two main dishes suited both of us. 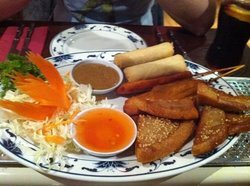 We had a starter of mixed meats on skewers and seafood in a tempura style or Thai equivalent, the dips were fantastic and the presentation was beautiful complementary Prawn Crackers were wonderful. We asked to move to a window seat and the owner was so accommodating and helped us change seats, absolutely no problem. The main course again was presented with extraordinary care and precision and the taste was divine (the fried rice OMG). We had taken our own drinks and were charged a nominal fee for the use of the house glasses, which was only fair. Overall it came to £32 which we were very happy to pay for such wonderful cuisine and hospitality and we have promised ourselves many more visits. 11/04/2019: 8 of us all had lovely tasty food well presented and well served in this quirky restaurant. Had the set meal good variety . 24/03/2019: We didn’t have a table booked but the restaurant accommodated us. We had a drink at the bar whilst waiting for a table, which wasn’t very long.